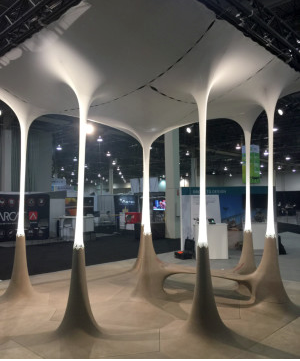 The 2016 Autodesk University (AU) convention, held November 15–17 in Las Vegas, offered plenty of motivation for innovative professionals to use Autodesk’s data-driven technologies. These can enable design teams to operate at peak productivity, creativity, and efficiency and the greater AEC industry (architecture, engineering, and construction) to embrace novel disruptive ideas. 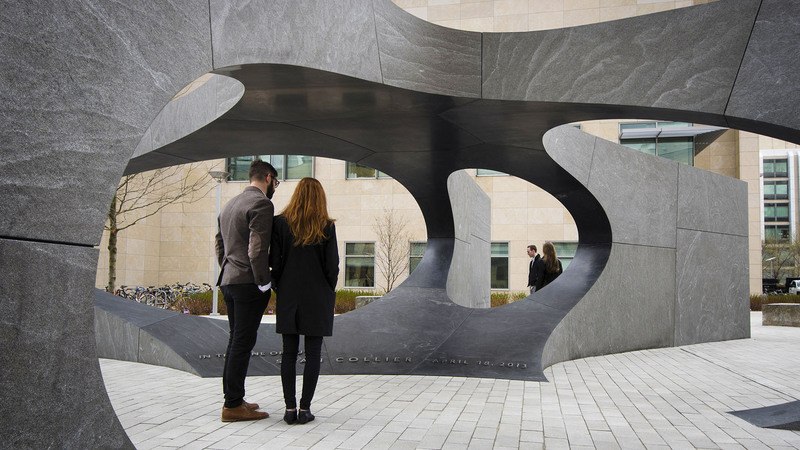 One of the highlights of the convention was The Generative Design pavilion, a creative collaboration between Autodesk, Quarra Stone Company, Simpson Gumpertz & Heger, and the University of Michigan (photo by Nathan Miller).